Depending on the environment it’s situated in stainless steel doesn’t rust or stain and requires very little maintenance. The average lifespan of products made from stainless steel is between 15 and 25 years for many applications but if we look at the Chrysler Building which has been standing for over 80 years, the stainless steel products used in its construction including stainless steel pipes are still good today. Duplex Stainless Steel pipes are used in the production of food and beverages as well as in the transport of them, along with many other applications including the generation of renewable energy and its efficiency, thereby significantly reducing the impact on our environment. As products cease to be useful more than 80 percent of stainless steel is gathered and goes through a recycling process. The stainless steel recycling industry is highly lucrative and profitable. The Biomass Industry is reliant on stainless steel to be able to produce and distribute sustainable energy. Converting biomass into “biogas” produces the most economic type of renewable energy available. 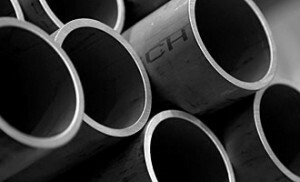 The correct specification of stainless steel used is able to resist corrosion that can be caused by these materials and the gas produced, that often contains corrosive impurities is best transport in duplex stainless steel pipes and stored in stainless steel tanks. Biogas is usually collected and stored in tanks overnight and then utilised to generate electricity in the day time, when the cost of energy is higher. There is no doubt that without stainless steel the renewable and sustainable energy industries would not be as advanced as they are today. If you are working in renewable energy at the moment and need further information about duplex stainless steel pipes don’t hesitate to contact us. Special Piping Materials will be more than happy to share our knowledge with you.